Osprey Communications specialises in communications for the manufacturing and retail sectors and we can help you stand out from the competition. 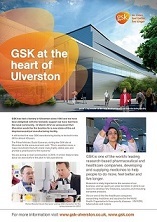 We have been providing communications support to GSK Ulverston since 2013, focusing on the development of a new £350 million state-of-the-art biopharmaceutical manufacturing facility. This has included handling the communications for the planning application for this important development, which will create around 250 new jobs in the town. Our work has included producing regular newsletters, press releases, presentations and adverts, together with social media activity and maintaining a dedicated website to keep local people up to date on the latest developments. Click here for more information on the biopharm project. 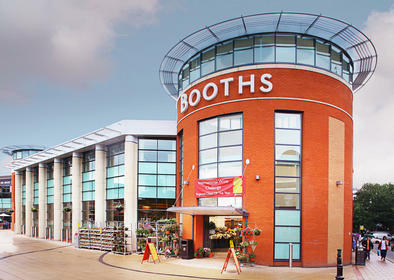 We worked with regional food retailer Booths to help raise its profile across Cumbria, Lancashire, Yorkshire and Cheshire. We worked on a wide range of stories about the products stocked in its stores, helping to show how the company was leading the way in sourcing high quality local produce. We also worked with Booths to create a number of stories to highlight their products and ethos, including organising a very successful ‘Grow Your Own’ competition for primary schools, originally as part of a national Year of Food and Farming. The competition attracted large numbers of entries and widespread media coverage throughout the region in which Booths operates.